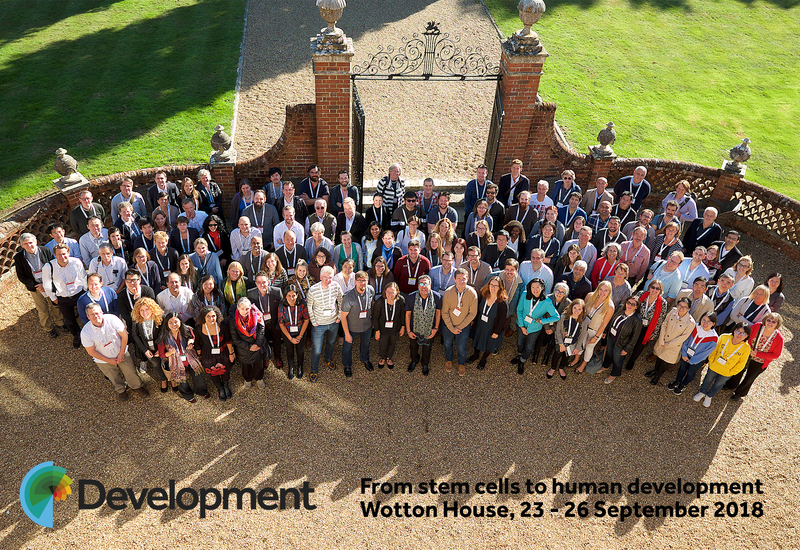 In September, Development held the third of its highly successful series of meetings focusing on human developmental biology. Here at the Node we ran a competition to find a meeting reporter who would share their experiences of the meeting in exchange for free registration. 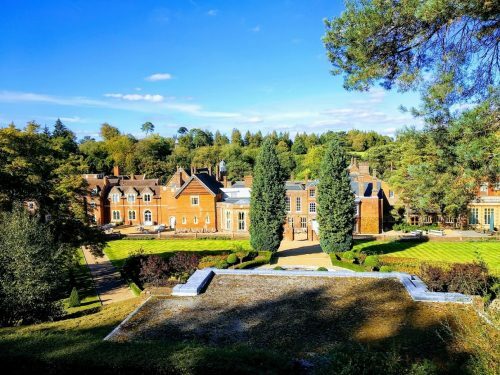 Competition winner Antonio Barral Gil, a PhD student in Miguel Manzanares’ Lab at CNIC (The Spanish Center for Cardiac Research) in Madrid, now recollects an enriching few days in the heart of the English countryside. We, the scientists of all disciplines, are in a unique position in the world. While our work is most of the time very labour intensive and solitary, we must continuously rely on the rest of the community in order to both grow ourselves and to contribute to the advance of common knowledge, which itself will eventually feed back to us. It is this interconnection between the individual and the communal that I find the most beautiful thing in science. The fact that it is built upon sharing makes it one of the most human (or should I say, humane) areas of work one could think of. Meetings like Development’s “From stem cells to human development” are a testament to this. It was truly an enriching and exciting opportunity to be able to interact with people so committed to their work, so selflessly giving their lives to a cause that is ultimately poured back into our society, and even more beneficial to me considering I am just starting my scientific career. The surprisingly sunny and pleasant English countryside that welcomed us was in line with the general mood of the meeting. At an outstanding venue, loads of unpublished data on an extensive array of research topics were generously shared, which all came to stress the importance of human-based research in the current state of developmental biology. Despite the diversity of themes discussed, one could see two main sides to this meeting: one focused on unravelling the developmental mechanisms that take place in the human embryo, and another aiming to replicate them (both for basic and translational purposes) in the dish. Within the first group, we were very fortunate to have Alain Chédotal who together with other researchers is putting huge effort into imaging the human embryo. By developing and improving techniques that make embryos transparent, they are able to perform whole-mount inmunostaining with widely used antibodies, and then scan them completely using light sheet microscopy. This allows them to look, in an organ-by-organ or tissue-by-tissue fashion, through astonishingly beautiful images of the human embryo. Connected to this was the work of Antoon Moorman, who elaborated on the already well-known three-dimensional atlas that he and his group built based on the Carnegie collection of human embryos, with the purpose of generating an incredibly useful didactic interactive tool. The several visual analyses presented were very well complemented by Laurent David’s talk, who is coupling single cell RNA-seq with time-lapse imaging to stage early human embryos in a precise way. This allows him to couple changes in gene expression in each region of the embryo with developmental time. 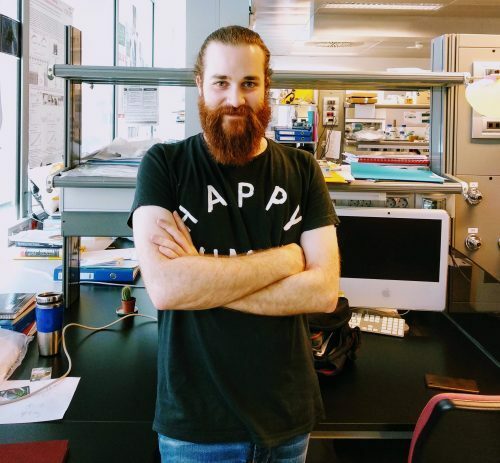 We also heard about Alexander Meissner’s work on methylation of CpG islands, which surprisingly shows how the methylation profile of extraembryonic tissues is very similar to that of cancerous cells. The other side of the meeting showcased the huge effort many groups are putting into reproducing human development in vitro. The elegant micropatterns utilised by Ali Brivanlou and Aryeh Warmflash, as well as the intriguing gastruloids developed by Alfonso Martínez Arias, shed light onto the early phases of human development, the ones that are harder to study for obvious reasons. Additionally, we heard about how a plethora of organoids is being obtained with levels of specification never reached before. Several speakers stood out for me, including James Wells (who has managed to derive colonic organoids with such a level of complexity they even contain hematopoietic cells), Paola Arlotta (whose brain organoids are getting more and more complex with every tweak to their protocols, to the point they even obtain photosensitive neurons), and Matthias Lutolf (who uses microfluidic chips to develop intestinal organoids which become incredibly well self-organized and compartmentalized). Being in the first year of my PhD, it was especially encouraging to see so many speakers that were PhD students or postdocs, and how engaging their work was. For starters, Teresa Rayon (a postdoc in James Briscoe’s lab) is tackling a fundamental yet poorly understood process: how is time encoded in the genome? Using spinal cord motoneurons derived from either mouse or human pluripotent stem cells as her model, she is developing elegant experimental designs that promise to expose the mechanisms behind the process. Another completely different question, but just as exciting for me, is being approached by Elisa Giacomelli, who is trying to obtain more mature cardiomyocytes derived from induced pluripotent stem cells by co-culturing them with cardiac fibroblasts in spheroids. Moreover, Belin Selcen Beydag-Tasöz, from Anne Grapin-Botton’s lab, presented exceptional work (published very recently in Development) which characterized in depth human fetal pancreas and endocrine progenitors, as well as more mature cell-types. The use of single-cell transcriptomic analyses allowed them to untangle the events that take place during endocrine specification in the human embryo, which they also compared to cells derived in vitro to study the similarities and differences between those and the in vivo processes. Last but not least, Blair Gage, a postdoc working at Dr. Gordon Keller’s group, started his talk with a simple yet accurate statement: to cure liver diseases, livers for transplants are required. In order to push towards the ultimate objective of obtaining complex, functional livers originating in the lab, he is focused on differentiating liver sinusoidal endothelial cells (LSECs), critical for the correct performance of this organ, from human pluripotent stem cells. Several more pages could be filled with the rest of the brilliant presentations given, which ranged from primordial germ cell differentiation to pluripotency and X-chromosome inactivation, passing through neural differentiation and its involvement with disease, retina morphogenesis, the segmentation clock, and so on. Such a variety of topics shows how rich and exciting the human development field is nowadays. This kind of meeting would not be the same without the time outside the talks and the situations you find yourself in. After the quite intense sessions, the moments in which you finally get to unwind arrive, and with them the opportunity to get to know the minds behind the works presented. During the poster sessions, over a glass of wine or beer or a cocktail, as well as through the comforting dinners and the late night drinks, I was very privileged to be able to talk about both science and extra-scientific topics with a bunch of talented, keen scientists; some conversations, for sure, will be of help in my own work back at my lab in Madrid. Naturally, I could not end without highlighting the great job the organisers did to end up with such a great line up of speakers: Paula Arlotta, Ali Brivanlou, Jason Spence and, of course, Olivier Pourquié, who handed over the baton to James Briscoe as the new Editor-in-Chief of Development at the final dinner of the meeting. I am also very grateful to the team at Development, not only for having given me a great opportunity to attend the meeting as the reporter for The Node, but also because I sincerely think the time and effort they put in coming up with the meeting was extraordinary: Nicky Le Blond, Joanna Berry, Seema Grewal, Katherine Brown and, especially, Aidan Maartens, Community Manager of the Node and Online Editor of Development, as he made my experience so much more comfortable and easier than if I would have been by myself. The broad display of research topics, coupled with their novelty, great communication on part of the speakers and the effort made by the organizers so that all could run smoothly, made this meeting a great example of what modern science means at its core: honesty, inquisitiveness, creativity, perseverance, and, above all, cooperation. Development’s next human-focused meeting is scheduled for 2020 – we’ll be running another meeting reporter competition so watch this space!